Paper Smooches EMBROIDERY HOOP Wise Dies J1D422 at Simon Says STAMP! J1D422 This item is on reserve until If you would like to reserve this item now, you may purchase it now with the rest of your order. We will hold your order now and ship your entire order as soon as this item is back into stock. If you would like your order to ship now, please place this item on a separate order. 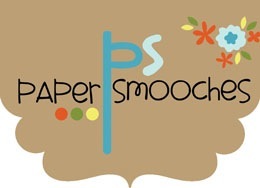 Success, Paper Smooches EMBROIDERY HOOP Wise Dies J1D422 has been shared! Use the Stitched Circle Die from Paper Smooches to stitch a design onto the embroidery hoop or stamp onto the die cut. This set includes a coffee cup accent, some stitched dies, and a die to add to the top of the hoop.